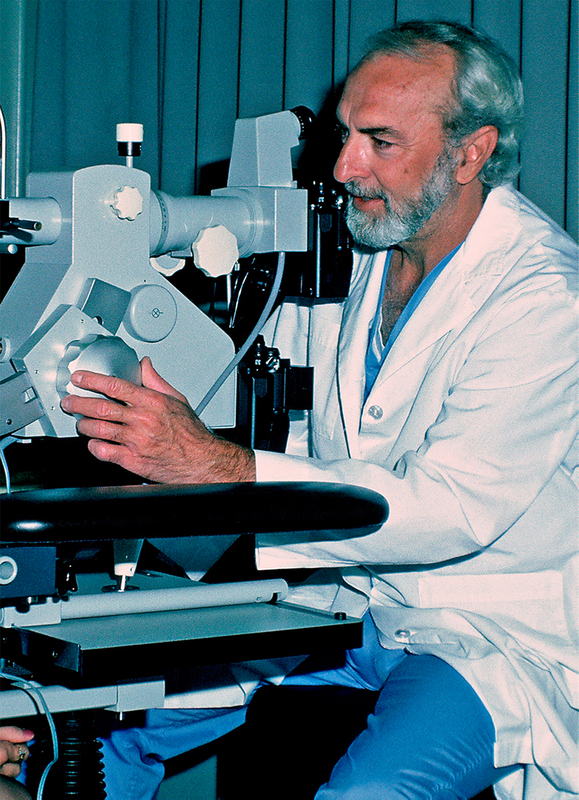 Our founder, Johnny Justice, Jr., was raised in an orphanage in rural NC and went on to become an internationally recognized pioneer in Fluorescein Angiography. He trained and worked as a medical photographer at Duke Univ. Hospital and the VA Hospital in Durham (1957-1962). He co-established angiography at the Bascom Palmer Eye Institute working “hand in glove” with their investigative physicians where the technique “went viral” in the 1960s. In 1981 Prof. Justice opened the Angiogram Reading Center in Houston and in 1986 moved the Center and his family to centrally located Memphis, TN. In 1992 he and his high school sweetheart, Carol P. Justice, a retired CRA-COA, founded Justice Ophthalmics and remain active in its operation today. Their mission was to provide a consistently reliable source for Pharmaceuticals, Medical-Surgical-Office Supplies along with Diagnostic Fluorescein/ICG Dyes and Angio-Paks. While pricing is important, Customer Service is at the heart of their success. Their simple motto is: "Give the Doctors and their Staffs what they want when they want it.” Nowadays, Jay D. Justice, is the CEO and Chad P. Justice, manages the day to day operation. Michael K. Justice, a retired CRA, is our representative in the Mid-South area.